Great Pressure Washers. Flexible Pricing. Incredible Results. High pressure washers are valuable tools for blasting away dirt and grime quickly, which can be a tough and costly task without the right machine. Hot or cold machines are available dependent on your needs. Our expert advisors will help match the best high pressure washer or cleaner for the job, maximising the results in the shortest time possible. Our high pressure cleaning machines are built with efficiency in mind, giving you the option to vary the water pressure as required. All of our pressure washers are available for hire or rental across the UK from our base in Essex, situated on the London and Suffolk border. Lavor Michigan 1211 LP cold water pressure washer is perfect for use in variety of locations such as farms, underground stations, schools, hotels, spas, hospitals etc. Comes with a pressure washer handgun, high pressure nozzle, lance and high pressure hose. 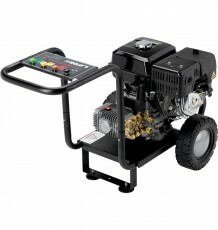 Lavor Thermic 9hp Petrol engine pressure washer, with safety by-pass valve. Integrated detergent suction with external suction probe. Adjustable pressure up to 200bar (2900psi). Pressure Washers Hire UK supply a wide range of advanced commercial pressure washers available in both hot and cold variants, to achieve perfect results every time with a quality range of Pressure Washers machines with a combination of power, versatility and efficiency that is unrivalled. Our Pressure Washers machines are perfect for both small to large floor spaces, allowing you to tackle any cleaning task. Flexible Hire Incredible Results Free Advice Fast Delivery Save Money with Hire. Pressure Washers Hire UK have over 25 years of experience and understanding of cleaning machines and equipment we have seen a steady request for floor cleaning machines hire daily, weekly, monthly or yearly periods.